1Button is an indie developer based in Grenoble, France, consisting of three people. The studio specializes in making simple yet elegant mobile games and apps for iOS that feature a flat and minimalist design. 1Button has released eight games in total on the Apple App Store, ranging from freemium to paid with in-app purchases (priced from $0.99 to $1.99) business models. 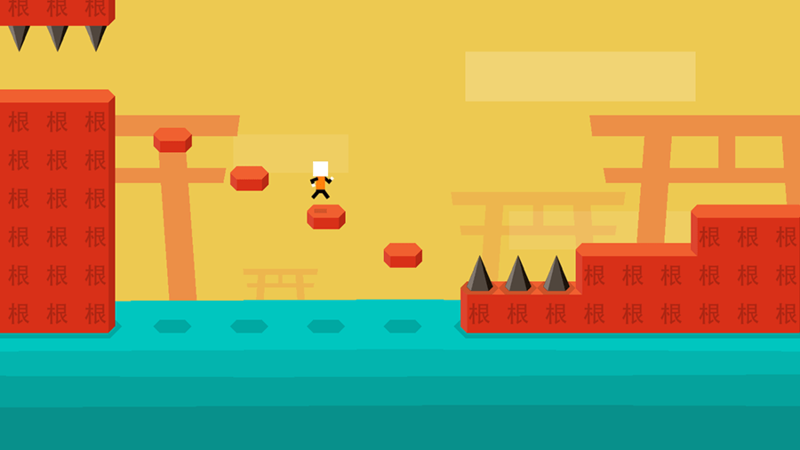 The developer most recently released Mr Jump — a side-scrolling platform game with extremely difficult level design. 1Button achieved the dream of every indie mobile game developer when its latest title, Mr Jump, was featured in the Apple App Store in over 100 countries, including the U.S., Germany, China and more. The free-to-play platformer became an overnight success in the mobile gaming market. Since launching on March 19, Mr Jump has registered 10 million downloads and 700 million game sessions on iOS alone. Apple App Store feature placement aside, 1Button aimed to create a great game experience above all. Also, the French studio looked to generate revenue via in-app purchases and mobile game ads without disrupting the game experience. 1Button sought a comprehensive monetization platform that would deliver ads tailor-made for mobile games from a massive base of mobile games-only advertisers. In the event of a feature placement accelerating the growth of Mr Jump, 1Button wanted a partner that would deliver millions of ad impressions without any hiccups. Finally, 1Button required end-to-end transparency over how frequently ads appear in its game, and the ability to tweak campaign targeting itself from a self-service dashboard to maximize campaign ROI. After evaluating its options, 1Button selected Chartboost’s games-only platform to generate revenue. Chartboost’s step-by-step instructions from the Help Site made it easy for 1Button to integrate the lightweight Chartboost SDK in Mr Jump. 1Button then set up static interstitial ads to trigger when a player fails a level along with frequency caps to limit the number of ads shown. Through Chartboost’s self-service dashboard, 1Button created tiered campaigns by region and applied different advertiser filtering strategies to maximize returns in each region. When Mr Jump was featured by Apple in the App Store, Chartboost’s powerful platform successfully managed Mr Jump’s massive influx of users, delivering millions of games-only interstitial ads that delighted players. In no time, 1Button was making $20,000 a day with Chartboost-powered ads. The combination of relevant ads, high revenues, and the self-service nature and scalability of the Chartboost platform, blew away 1Button’s expectations.